Each unit has kitchenette and bathroom facilities which are designed in accordance with approved access standards. They contain large wall mounted LCD TV and central heating. You will enjoy the free Wireless access, double glazing. Stylish furnishings and modern decor compliment the guest facilities provided in each room to make your stay comfortable and relaxing. Three ground level studios available in either Twin or Studio. Each unit has kitchen( only microwave) and bathroom facilities which are designed in accordance with approved access standards. They contain large wall mounted LCD TV and central heating. You will enjoy the free Wireless access, double glazing. Stylish furnishings and modern decor compliment the guest facilities provided in each room to make your stay comfortable and relaxing. Sperior Studio Unit with central heating. Separate ensuite and kitchenette . You will enjoy the free Wireless access, large flat screen TV, double glazing. Stylish furnishings and modern decor compliment the guest facilities provided in each room to make your stay comfortable and relaxing. Separate ensuite and kitchen. You will enjoy the high speed Wireless access, large flat screen TV, double glazing. Stylish furnishings and modern decor compliment the guest facilities provided in each room to make your stay comfortable and relaxing. Central heating.Each unit has kitchenette and bathroom facilities which are designed in accordance with approved access standards. They contain large wall mounted LCD TV and central heating. You will enjoy the free Wireless access, double glazing. Stylish furnishings and modern decor compliment the guest facilities provided in each room to make your stay comfortable and relaxing. Spacious downstairs unit containing large wall mounted LCD TV and central heating. Separate ensuite. You will enjoy the high speed Wireless access, double glazing. Stylish furnishings and modern decor compliment the guest facilities provided in each room to make your stay comfortable and relaxing. Family Room has a wall mounted LCD TV, kitchenette and two ensuites in each unit. central heating, You will enjoy the free Wireless access, double glazing. Stylish furnishings and modern decor compliment the guest facilities provided in each room to make your stay comfortable and relaxing. Queen size bed, single and sofa bed in one room and two singles in the other. Family Room has a wall mounted LCD TV, kitchen and two ensuites in each unit. central heating, You will enjoy the high speed Wireless access, double glazing. Stylish furnishings and modern decor compliment the guest facilities provided in each room to make your stay comfortable and relaxing. Twin room with central heating. Separate ensuite and kitchen( only microwave). You will enjoy the free Wireless access, large flat screen TV, double glazing. Stylish furnishings and modern decor compliment the guest facilities provided in each room to make your stay comfortable and relaxing. Spacious Two Bedroom Apartment with full kitchen and laundry. Apartments open out to a balcony, ideal for family groups. Facilities include: wall mounted LCD TV, central heating, free Wireless access, double glazing, stylish furnishings and modern decor. Queen size bed in one room and two singles in other bedroom with sofa bed in the lounge. 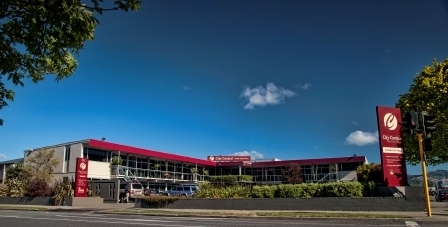 City Central Apartments is a motel complex located right in the centre of Christchurch, yet away from the noisy precinct around Cathedral Square. You can relax in peace and quiet in our double-glazed Apartments, yet you are only a short walk to all of the attractions the city has to offer, including AMI Stadium. Our recently refurbished apartments offer fully self contained units with something for everyone from a warm comfortable Studio for the corporate traveler to large two bedroom units for families or larger groups. 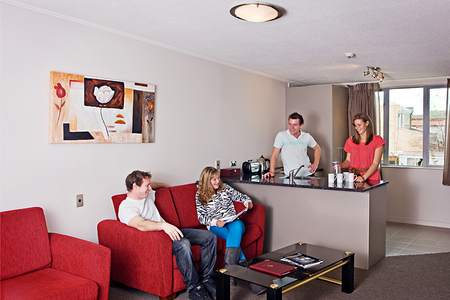 To make the most of your time in Christchurch stay at the City Central and enjoy the clean, comfortable Apartments right in the heart of the city. 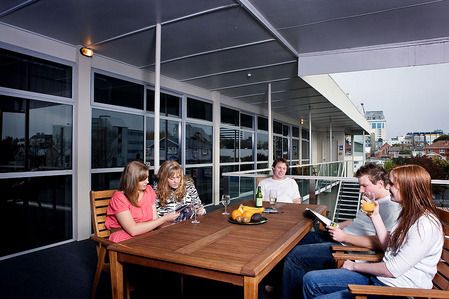 We offer 26 modern, self contained Apartments. These are stylish, well appointed Apartments which offer guests very clean, quiet accommodation with free off street parking. There is a range of affordable accommodation on offer, from; Access Studios, Twin Rooms, Superior Studios , Family units and Two Bedroom Apartments. All Our Apartments are self contained with separate ensuites. You will enjoy the high speed Wireless access, large flat screen TV, central heating and double glazing. Stylish furnishings and modern decor compliment the guest facilities provided in each room to make your stay comfortable and relaxing. 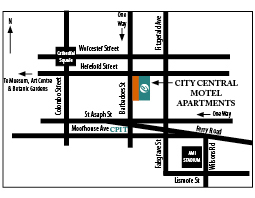 City Central Motel Apartments are centrally located and close to local attractions including; City Centre shops, Cathedral Square and the Central Business District, which are all within 5-7 mins walk. It is only 5 mins walk to several entertainment spots including world-class restaurants and bars along Lichfield Street. Attractions such as; The Christchurch Convention centre, Museum and Art Gallery and AMI Stadium ( formerly Jade Stadium ) are all within 10 – 15 mins walk. City Central is also ideally situated ( just 5 mins walk ) for those attending courses at the Christchurch Polytechnic in Madras Street. CANCELLATIONS made 48 hours prior to your scheduled arrival date may incurr a cancellation fee. If cancelled within 48 hours all accommodation may be charged to credit card details supplied (or invoiced), and any deposits made are non refundable. Should you fail to show prior to 10am the day following your scheduled arrival date your reservation will be treated as a late cancellation and all accommodation may be charged. Please Note for all the non-refundable rooms, if Cancelled, Modified or incase of no show, total price of the reservation will be charged for the total price of the booking.